At St. John Catering / Mathayom Private Chefs, we can provide small services like stocking your villa with groceries, to grand events like catering large wedding receptions and more. We have everything you need to make your life easier while on St. John. Choose one of our private chef services to find out what it feels like to be pampered by your own personal chef, or save time and energy with one of our gourmet drop off services. No matter what you need while you’re here, we can bring it to you! For large parties and weddings, there is no one more considerate of all you need than St. John Catering.With options ranging from elegant plated dinners to casual buffet affairs, we make it easy to host your wedding reception, rehearsal dinner, welcome or farewell party, bachelor / bachelorette dinner, bridal brunch, beach BBQ or any social or business affair.We are also able to accommodate groups for corporate events including staff parties, incentive groups, recognition or awards dinners and more. For the ultimate experience, let our chefs serve you a delicious dinner right in your villa. Indulge in our elegant formal private chef option or choose our budget friendly family style choice. 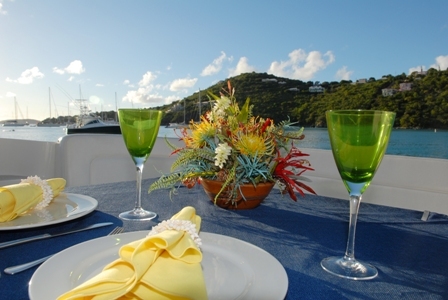 We can also offer full day or full week personal chefs in your St. John Villa. Pick from our seasonal menus, design your own, or let us create a menu just for you. As an exclusive service to our guests, let us act as your private concierge and use our resources to provide you with the most impressive gathering. We are available to cater on private boats, on secluded beaches, to arrange live music or entertainment, add services like yoga or massage–if you have it in mind, we can make it happen. Enjoy life at your speed with a convenient and easy drop off dinner. 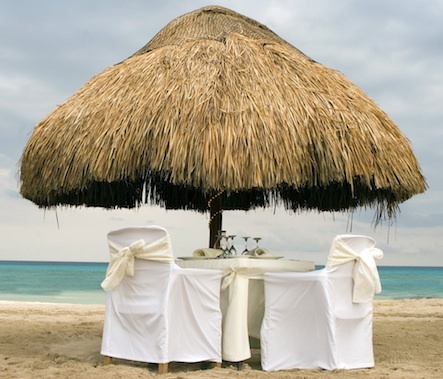 Creative, custom gourmet cuisine delivered right to your doorstep or beach blanket. Choose our fully prepared meals to enjoy every minute of paradise or select our grill pack option that let’s you be the star chef! Each of our services includes a unique set of features designed to compliment your event. If you are looking to add flair to your event or to rent any tables, linens, equipment or expand on your packages, we have extensive options.